Wakaba (Tao Tsuchiya) is a 2nd grade high school student in Fukui Prefecture, Japan. When Wakaba was little, she admired the cheerleading club "JETS” from Fukui Chuo High School in Fukui Prefecture. She dreamed of joining the "JETS,” but she thought it was impossible for her to join and enrolled at another high school. One day, a transfer student from Tokyo talks to Wakaba and proposes "let's do cheer dance together." The cheerleading club "Jets" from Fukui Chuo High School referenced in the drama series is a real cheerleading club who successfully competed at a competition in the United States. Drama series is set 9 years after the movie "Let's Go, Jets." Actress Suzu Hirose will make cameo appearance as Hikari Tomonaga (her character from movie "Let's Go, Jets"). Hikari Tomonaga comes back as a teacher at the high school where she graduated from and coaches the cheerleading club "JETS." hayad Dec 08 2018 8:06 am Ishii Anna will nailed it. She is a member of E-Girls after all, the youngest performer on top of that. t0ur Aug 02 2018 3:33 am @Tunjung Sasongko xxxJunkJAVmanZ yeah. I really like waterboys. Have you even watch Dance Drill? It`s bad beyond redemption - the directing was completely lost, no chemistry between the characters (because the directing and it has bad acting to begin with), and the writing was all over the place. 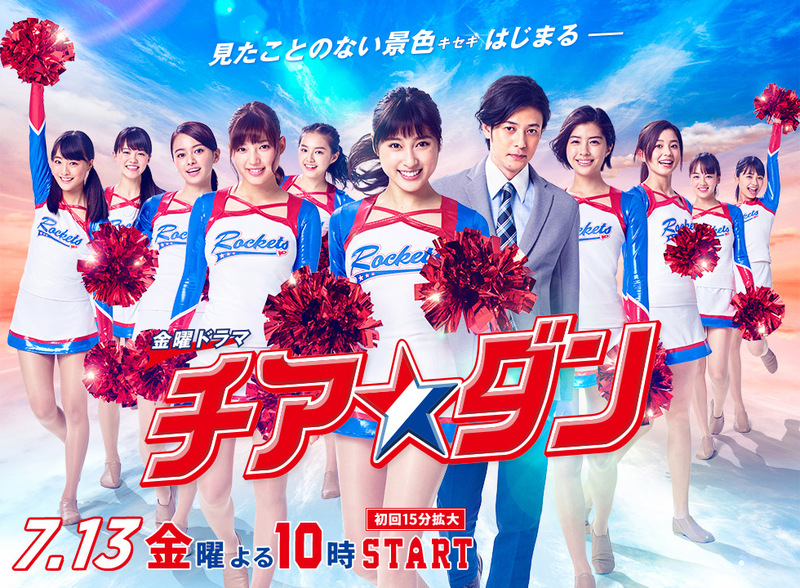 On the other hand, I`ve heard this TV version of Cheer Dance has been planned long time ago, at least on paper the cast list is quite good (even better collectively than the movie version`s) although some of the newest in the roster might be wild cards. Just hope TBS assign this project to competent screenwriters and directors because the potential is there. Susan Apr 05 2018 8:41 am Tao is a talented actress and her dancing is good too. It has been a while since we last saw her in a drama so I'm really looking forward to this. I hope the other girls can dance too :). Nannie Jan 21 2018 5:43 pm The story kinda reminds me of 'Dance Drill' with Eikura Nana though. I hope it's just as good. Aiko Jan 07 2018 8:40 pm Tao overacts in her acting sometimes. Still a fan of hers though. Koko Jan 07 2018 9:19 am From the synopsis, I think it's a different story from Let's Go Jets.